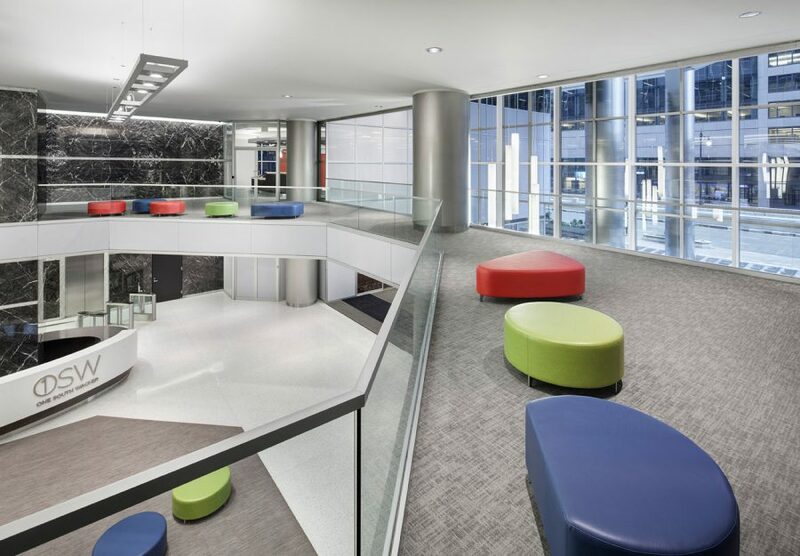 Wright Heerema Architects designed a re-imaged plaza, main entry, and lobby at One South Wacker. 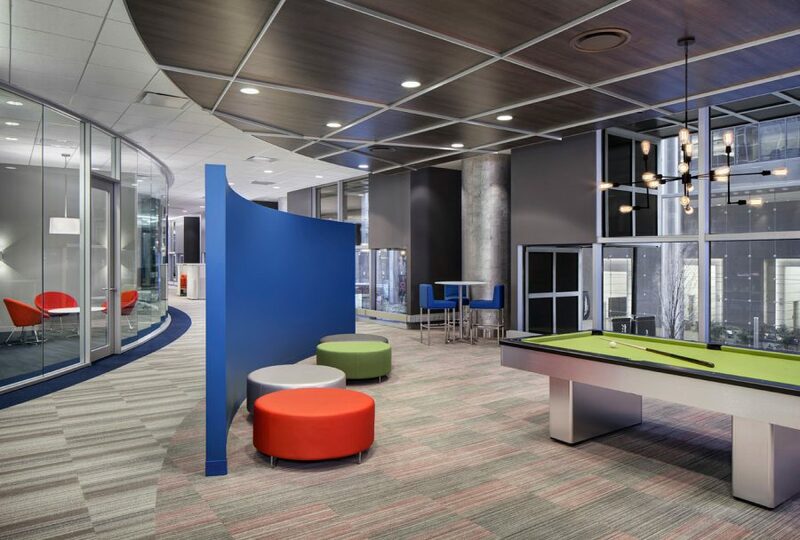 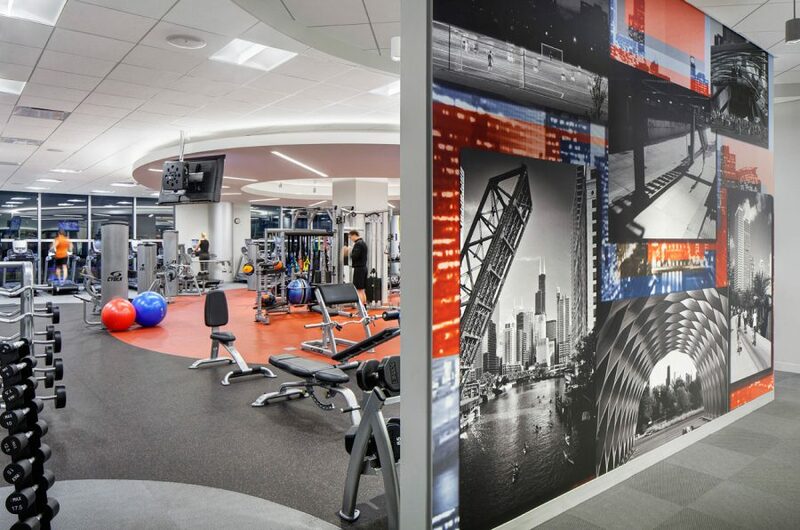 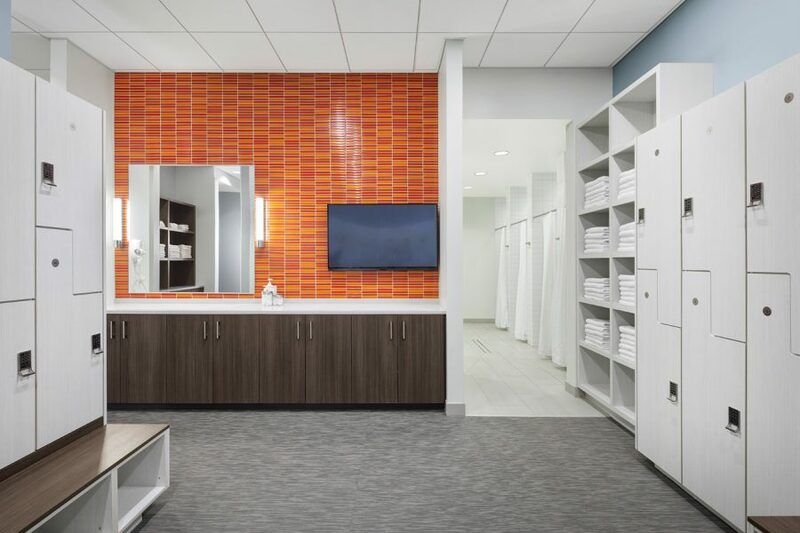 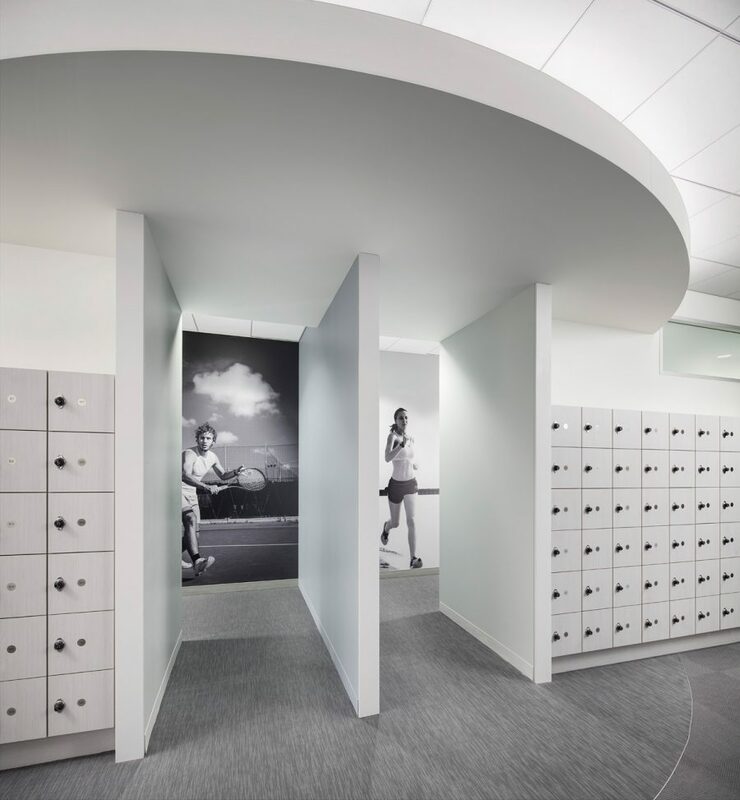 Additionally, a state-of-the-art amenity floor was added which includes a professionally managed tenant lounge, cafeteria seating, game area, and a 24-hour fitness center. 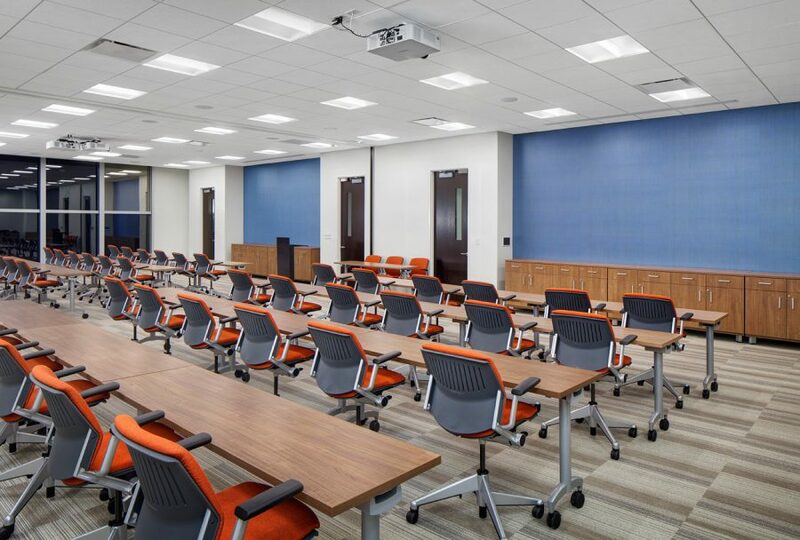 The amenity center includes a 100+ person conference center with AV capabilities and a catering room. 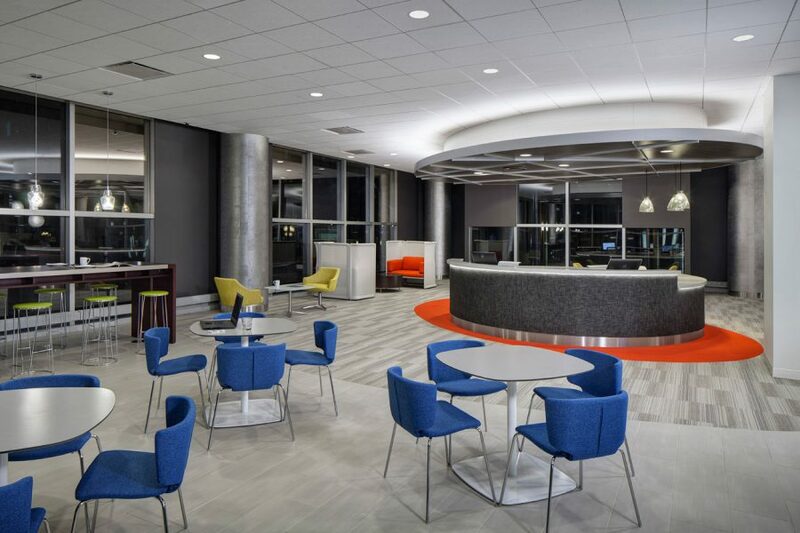 This floor has been a successful key selling point for the building leasing team and has helped retain current tenants.